I put the poster above up in my post “This Journey”. 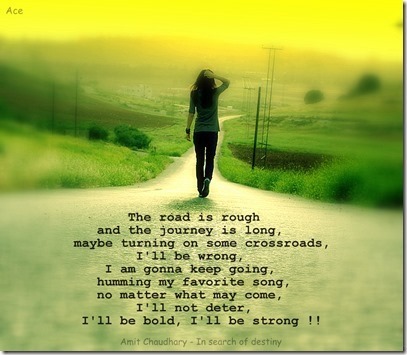 The poster also made me think about what song I would be humming down the road besides the journey of life. I have two songs that are my favorites. One you might wonder about why I would be humming the song down the road. The other one I believe you would understand. What is your favorite song you would be singing down the road?